All Hallows Eve is almost here which means our house is officially ghouled out. Skeletons have been hung, pumpkins have been carved, and buckets of candies await little trick or treaters. Sigh. If only I cared this much about my Halloween costume I would be in good shape, but I prefer a more laissez-faire approach to getting dressed. 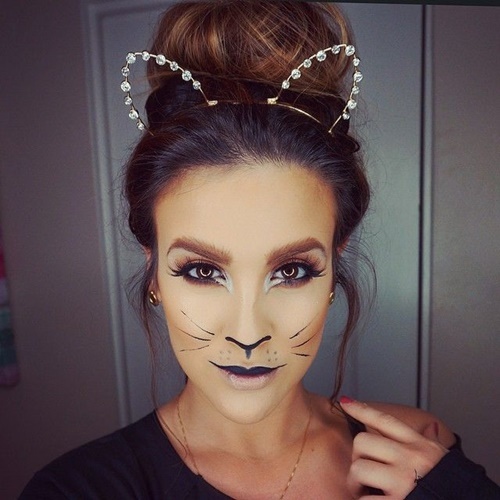 If you ask me – a little makeup is all you need to get into the spooky spirit. However, I’m no makeup artist so crazy special effects are out. Quick and easy are more my style. Feel the same? 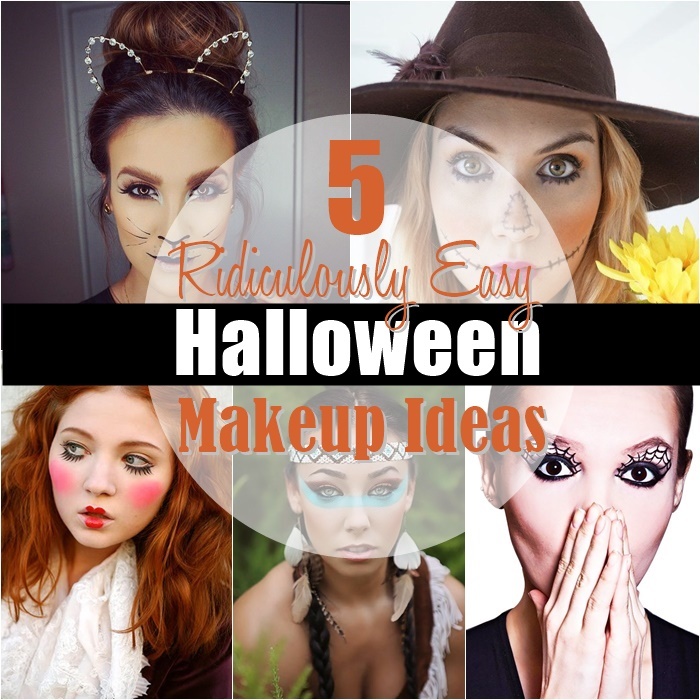 Then these scary cool and surprisingly simple makeup ideas are right up your alley. Items needed: Bronzer, Smoky Brown Palette, White Eyeshadow, Black Eyeliner, False Top Lash, Mascara.